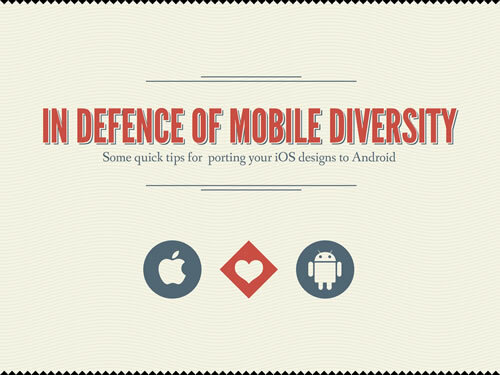 Presented by Hervé Mischler at the Future of Wedesign London 2012, here are some quick tips for porting your iOS designs to Android. The lack of text is actually impressive to me, means that he had to carry almost the entire presentation on his own. Nice work, Hervé!